Sandra's flowers were so fun to work on-- her color scheme was purple and yellow, the same as mine & Jarod's! It's always interesting for me to tackle a really similar color palette across clients but to see how differently they each turn out based on flower choices and other design preferences. 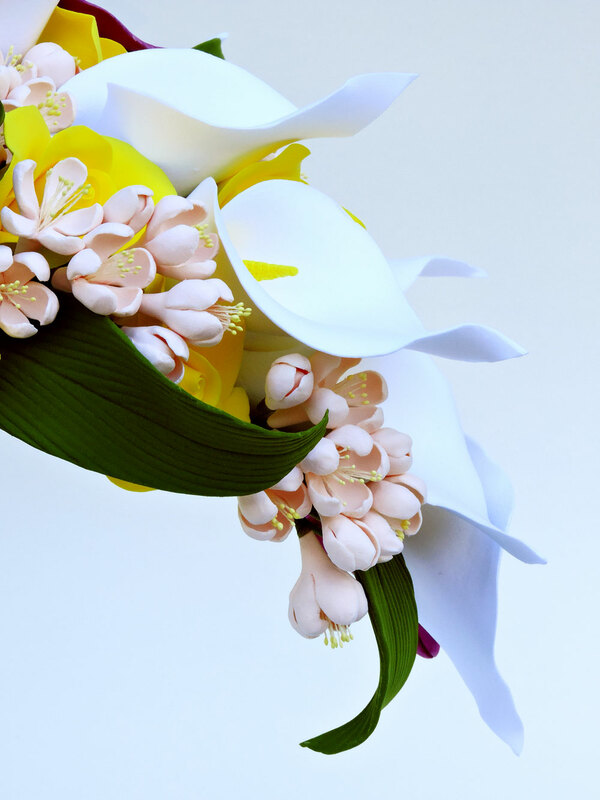 A luscious cascade arrangement of white calla lilies, yellow roses, peachy cherry blossoms, and purple orchids (hand painted for extra detail!). I wrapped the stems with vintage lace to echo the gorgeous lace details on Sandra's dress. Sandra's seven bridesmaids wore pale yellow dresses, which we complemented with purple and white flowers. 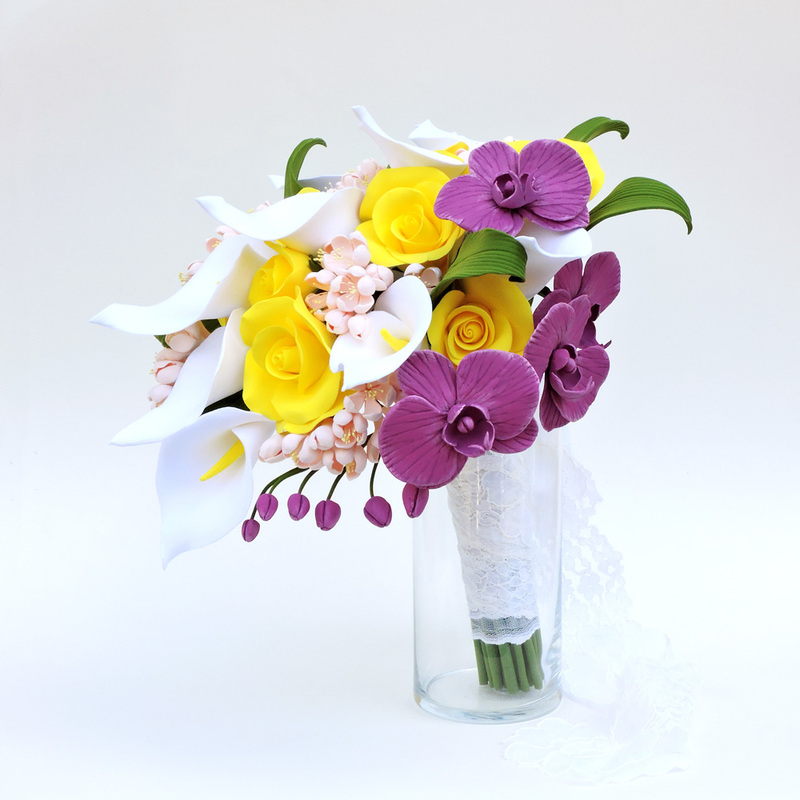 Each bouquet featured a fan-shaped arrangement of purple calla lillies, fluffy white roses, and purple plastic filler flowers. I made sure to vary the shades of purple so that they'd stand out a little more! His boutonniere matched the flowers in Sandra's bouquet (just scaled down a bit). The yellow roses in their boutonnieres were a match to the bridesmaids' dresses, and also included the same purple filler as their bouquets. 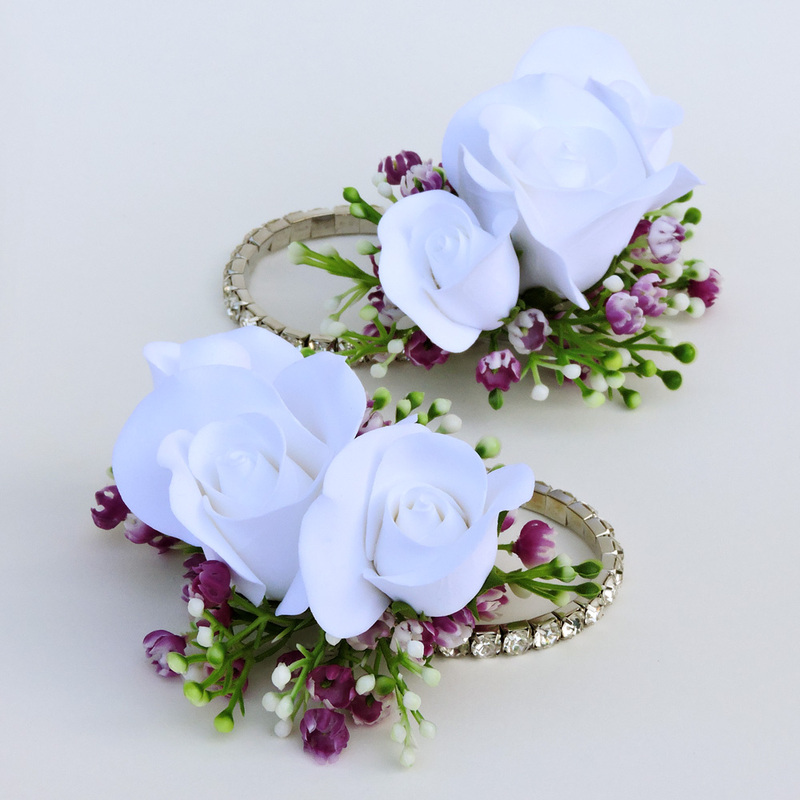 The mothers each received a wrist corsage of white roses and purple filler on a sparkly rhinestone wristband. Sandra also wanted to honor several other family members who weren't in the bridal party; they each received a bud vase with a mix of yellow, white, and purple roses.